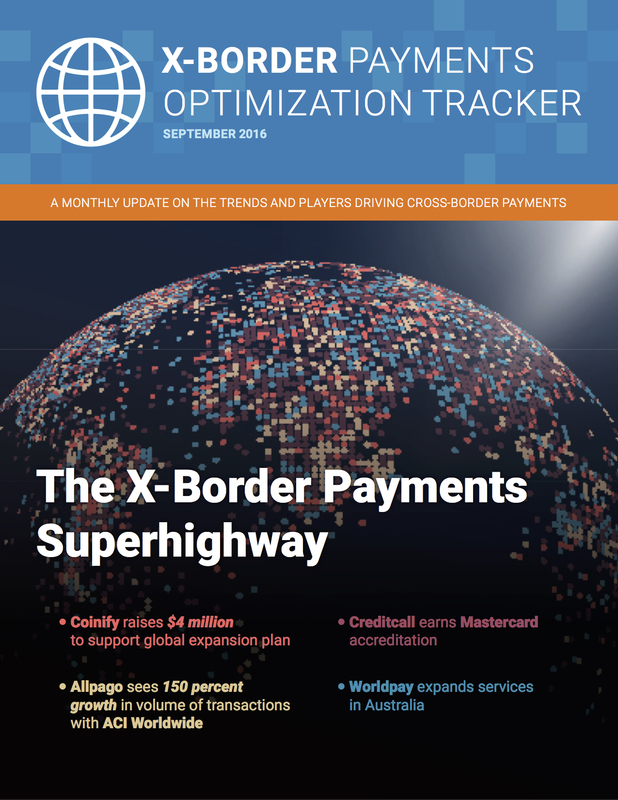 The X-Border monthly tracker is the framework for evaluating players in the cross-border payments landscape and the quarterly index tests the readiness of the companies to serve a global audience. Profiles of influential x-border players. An interview with Sharon Scott, director of risk and payments at uShip, about how the web revolutionized international trade. News highlights from throughout the world of x-border payments, including reports on new international expansions and acquisitions. 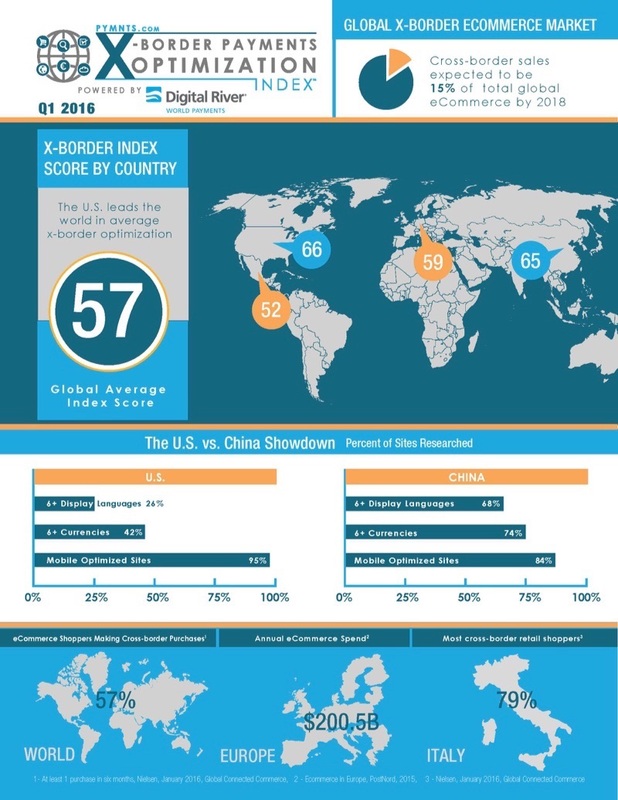 This quarter, the PYMNTS X-Border Optimization Index™ tracks the journey of 192 merchants who are vying for their share of the global eCommerce windfall. We take the pulse on how merchants are improving on attributes conducive to international eCommerce in countries that include Canada, China, France, Germany, Italy, Japan, Mexico, Spain and the United States. The verdict: The U.S. is still ahead of the rest, but not by much.